Melanie White, Director at Downsize Me again joins eHealth Radio and the Nutrition & Weight Management Channels. 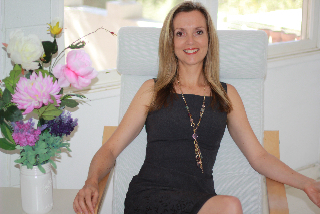 Melanie is a Certified Health and Wellness Coach who helps people to eat better, think differently and feel great. Why is it that so many people seem to get ‘middle aged spread’? How do stress hormones cause middle aged spread? What sorts of things cause this stress you’re talking about? How do blood sugar hormones cause middle aged spread? What are three tips you can share to help people to reduce their spare tire? Melanie White is a Health and Wellness Coach who loves helping people to change the way they eat and think for a slimmer body, better energy and a longer, healthier life. After 13 years in a stressful corporate role in Perth as a Biologist, she realised empowering people was far more enjoyable and meaningful. Melanie is the co Founder of Downsize Me, an eight-week food coaching program that helps people overcome the hormonal and mental barriers to weight loss. She also works as a coach trainer and business mentor for Wellness Coaching Australia. She loves to share her skills and lifelong passions for food, gardening, activity, personal development and healing.